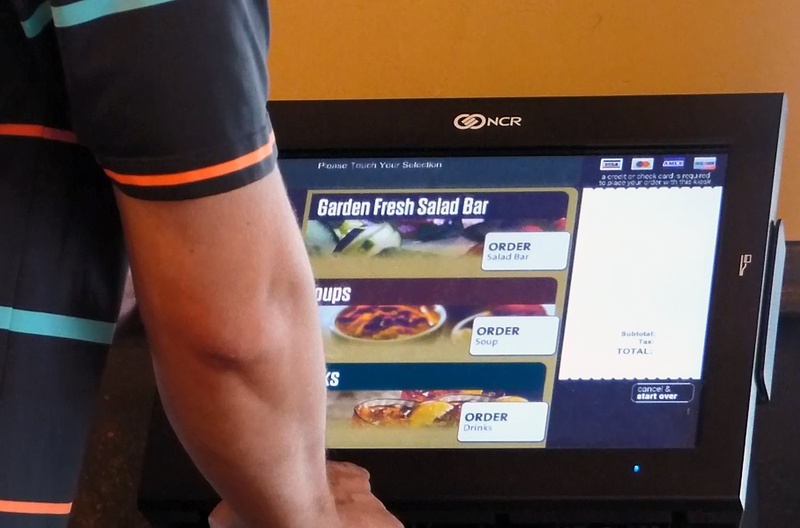 Paired with the numerous benefits for a restaurant owner to utilize a self-order kiosk and the trend of Millennials and Gen Z consumers preferring using a kiosk – Will kiosks replace people employed behind the counter at a quick service restaurant? If ordering at a QSR was made easier or quicker, young adults may be more likely to frequent the establishment on a more regular basis. We live in an age where younger generations are constantly behind some type of screen, whether it be a phone, laptop, or tablet, so using a self-serve kiosk is not foreign. An efficient, self-checkout kiosk will quickly move customers through the ordering process and allow them to customize their food selections. Being able to pick your cheese, toppings, condiments, and bread type with the simple click of a button is very appealing. In addition, restaurant owners and operators are moving toward digital signage kiosks, because they provide a fast and smart interface for users and simplify customer transactions. The interactive feature of a kiosk makes people feel connected with the restaurant and allows an ordering path depending on their needs. Another big advantage to restaurant owners is the unlimited access to customer analytics. Restaurants can examine consumer behaviors to determine if various calls-to-actions are met during the transaction. The system can measure the specific path that the consumer traveled down and how long it took to complete the call-to-action. The self-ordering kiosk technology provides convenience, but overall quality interaction is still welcomed by Millennials and Gen Z consumers. Our predication is that the future holds a healthy combination of less people taking orders and more kiosks – but one will not totally replace the other in a quick service restaurant. Less employees behind the ordering counter provides more time to be “hands on” inside of the store and focus on customer service to improve the overall experience for customers and foster a friendly dining environment. HAVE QUESTIONS? LET US KNOW HOW WE CAN BEST ASSIST YOU!